In a major relief to Som Distilleries & Breweries Ltd, the maker of the Hunter beer brand, the Delhi High Court has dismissed a petition filed by its Danish rival Carlsberg, alleging trademark infringement of one of its brands. The Indian subsidiary of Carlsberg Breweries AS had alleged that Madhya Pradesh-based Som Distilleries was using the bottle design, labeling, pull-off caps and packaging identical to its brand Tuborg, which would create confusion in the minds of consumers. “The defendant (Som Distilleries) is also in the same line of business, is marketing its product under the brand name ‘Hunter’, and has adopted an imitation of the registered bottle design, registered label mark and trade dress in respect of its product,” argued Senior Advocate Sudhir Chandra who represented Carlsberg in the case. The dispute between the two beer brands can be traced back to April 2015 when Som Distilleries launched a rebranded version of its Hunter beer, which up until that time was being sold under different packaging and a different colour. The counsel representing the domestic company argued that Hunter is a well-established brand introduced in 1995, and hence, the company has no reason to imitate the Tuborg brand. “The features claimed by the plaintiff (Carlsberg) to be distinctive and unique in their bottle design are present in most bottles used in the trade. A beer bottle is coloured green or brown on account of its functionality and no monopoly can be claimed by the plaintiff in respect of the same,” argued Senior Advocate Pratibha Singh, representing Som Distilleries along with Kapil Wadhwa, partner of Wadhwa Law Chambers. The owners of Hunter beer argued that other popular brands such as Heineken, Kingfisher and Stella Artois also have similar coloured bottles, and those such as Kingfisher, Kamenitza and Miller High Life also use pull-caps that are indistinguishable from the ones present on Tuborg beer bottles. Justice Vipin Sanghi dismissed the charges filed by Carlsberg Breweries on grounds that both brands are like any other ordinary beer bottle available in the market. Regular consumers of beer are very aware of the various brands of the beverage, explains Tina Jain Mehta, founder of boutique branding and design firm Pineapple Consulting. “Beer is a category where consumers are highly aware but very disloyal to any particular brand, and hence, such cases are natural when companies aggressively fight for market share,” she added. 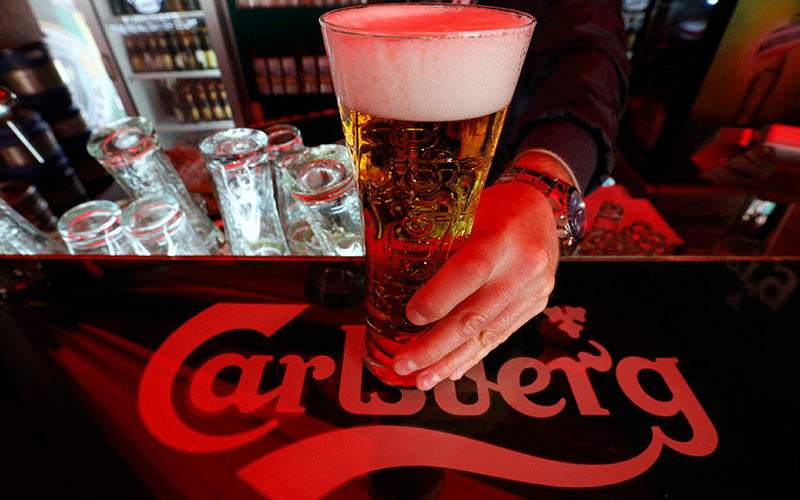 The Danish beer major claimed that in 2015, Tuborg had global sales of around $1.16 billion worldwide and in India, its revenue was Rs 1,420 crore during the same year.